Istanbul was called Constantinople before 1923. 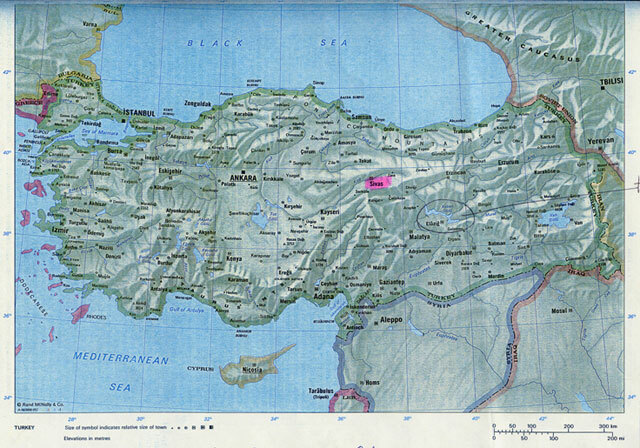 Sivas is highlighted in pink. The circled area with a line to it indicates the general location of Harput, the birthplace of Toros Parnagian. Harput is 6 km north-east of Elazig. During the 1915/16 marches the Armenians in Anatolia, including those from the towns of Sivas and Harput were rounded up and forced to walk to Aleppo, Syria. 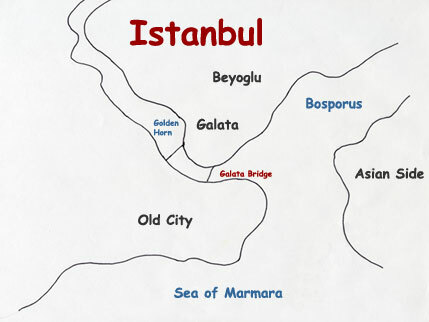 The Asian Side of the Bosporus. Galata/Beyoglu/Taksim, AKA, the European Quarter where the Azarian, Arivian's and Hagopians lived. When the Azarians first arrived in the United States they may have lived in New York City for a brief period. They subsequently moved to Union City, New Jersey. The address on Mike's Declaration of Intention to become a citizen in 1920 and Lucy death in 1923 were listed at 183 Clinton Avenue, Union City. Clinton Avenue is not listed on a current map of Union City. 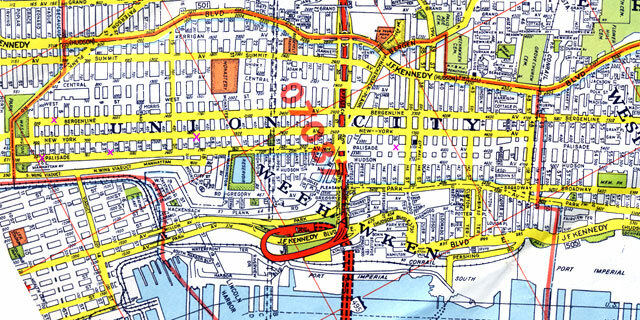 If Clinton Street in Hoboken was a continuation of Clinton Avenue in Union City, it means that Clinton Avenue was where the entrance to the Lincoln Tunnel is today. I have made pink X's on the map to indicated known address in Union City.